The premise of laser and its healing effects has been well documented and can have real benefits in veterinary practice as part of many treatment regimes. Laser and laser devices simply initiate natural healing processes. Among many things, therapeutic laser promotes dilation of very small blood vessels. This allows for improved traffic of immune cells into tissue and increased oxygen levels to fuel molecules and other products into injured tissue, aiding in natural healing. The process involves a series of treatments where a probe is placed on the body surface at the site being treated and at times some other sites close by. Carefully selected frequencies of laser light, together with doses (time) , are chosen for your pet’s particular problem. This may be used together with other treatments, or at times as a stand -alone therapy. 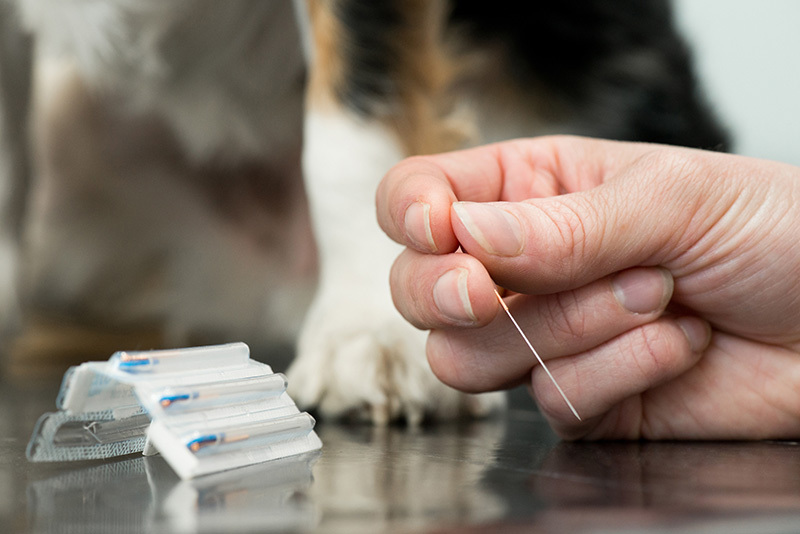 Acupuncture has been used in veterinary practice for many years. Dr Angus Brown uses acupuncture in selected cases as an alternative to conventional medications, or as part of a multi modal approach to therapy. Where possible, initial acupuncture courses are used as a stand-alone treatment modality. Often this may be done to assess whether a particular patient gains benefit from acupuncture. Once it has been established that it is indeed of value for your pet, treatments are tailored accordingly. Acupuncture treatments usually involve insertion of a series of needles, which are left in place for about 20 minutes. Sometimes a laser probe protocol (without needles) may be appropriate. Perhaps surprisingly, most pets tolerate these processes remarkably well. Dr Brown’s main interest in acupuncture is to support patients with osteoarthritis, and back pain, but in a series of other situations too. 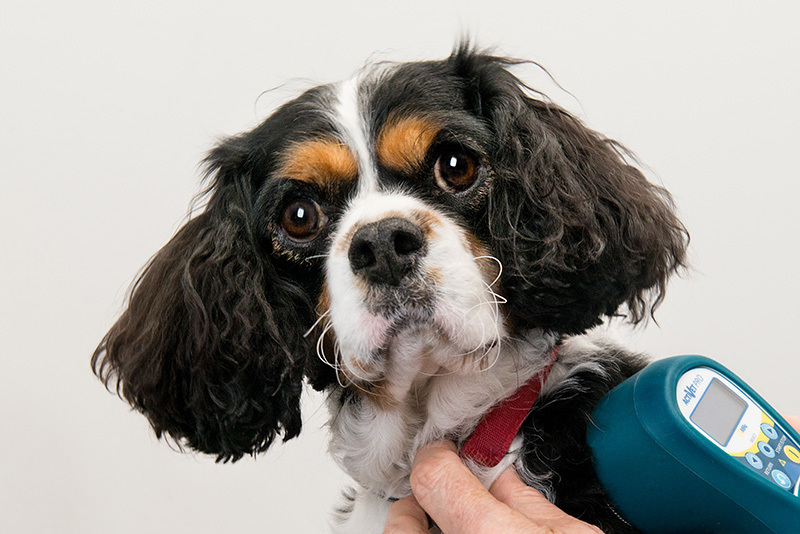 Please enquire, if you would like to know if acupuncture may be helpful and appropriate to support your pet. Please call the practice on 08 8362 6688 to discuss whether your pet should have laser treatment.